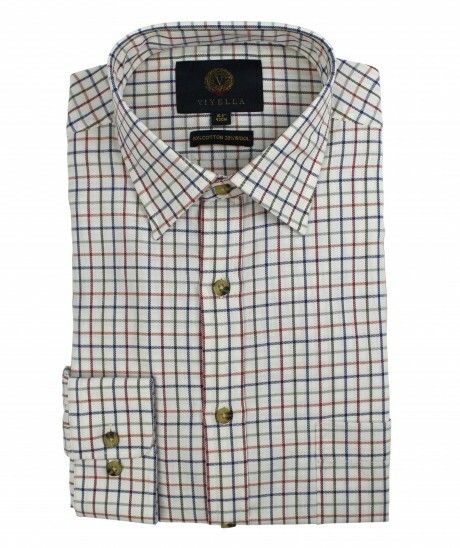 Viyella are now making their most popular designs in the 80/20 range in a king size shirt up to size 20 inch collar. Viyellas Classic Tattersall check is Viyellas most popular shirt year after year, with a natural background and shades of plum, blues and greens making up the check. It offers everything you want in a country shirt and is a must have item in every mans wardrobe. Classic Collar, functional breast pocket, Branded Viyella buttons & a single adjustable cuff.